Right worshipful master and Right Worshipful Installing Masters. The office bearers of Lodge Possilpark 1330 for 2019. The lodge room of Lodge Possilpark 1330. The Lodge was chartered by the Grand Lodge of Scotland on the 6th November 1924, and is within the Province of Glasgow. Our Meetings are normally conducted on the 2nd and 4th Thursday, from 4th in August to 4th Thursday in May at 7.30p.m at Masonic Hall, 83-85 Bardowie Street, Possilpark, Glasgow G22 5ET. As always Lodge Possilpark 1330 cordially invites all visiting brethren to attend any of our meetings and to partake in our hospitality afterwards. Lodge Possilpark 1330 has a Facebook page, Please search for us within Facebook or better still click on the Facebook icon on the very bottom of any page to connect with us. 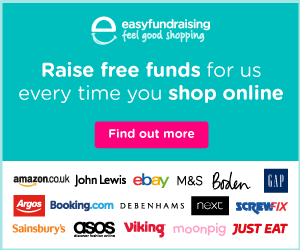 Have you visited this site because you have an interest in perhaps joining? Then your in luck as we would like to hear from you, first check out our page regarding the joining qualifications and when you read it and find out that it means you then visit our Contact Us page, fill out the form and wait for our call. 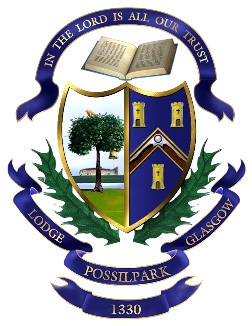 Next Meeting, Thursday 11th April FC Degree by Lodge Corkerhill 1426....., 83/85 Bardowie Street,Possilpark, Glasgow, 7-30pm sharp. As the Right Worshipful Master of Lodge Possilpark 1330, I bid you welcome to this our website which I hope you will find both interesting and informative, whether or not you are a Freemason. On behalf of the Office Bearers and Members of the Lodge Possilpark 1330, I extend to you a warm welcome to our website that I hope you will find interesting and informative. I also hope that you are provided with a greater insight into our many charitable activities. We in Lodge Possilpark 1330 are extremely proud of this honourable Order and I look forward to this medium of communication being used as one of many to illustrate that we have absolutely nothing negative to hide and so many positive things to share.